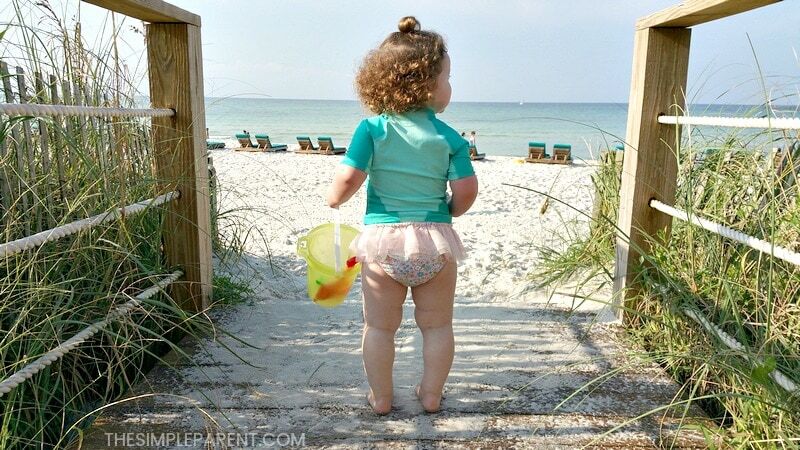 Home » Travel » Easy Peasy Packing for the Beach with FREE Printable! Is your family vacation just around the corner? 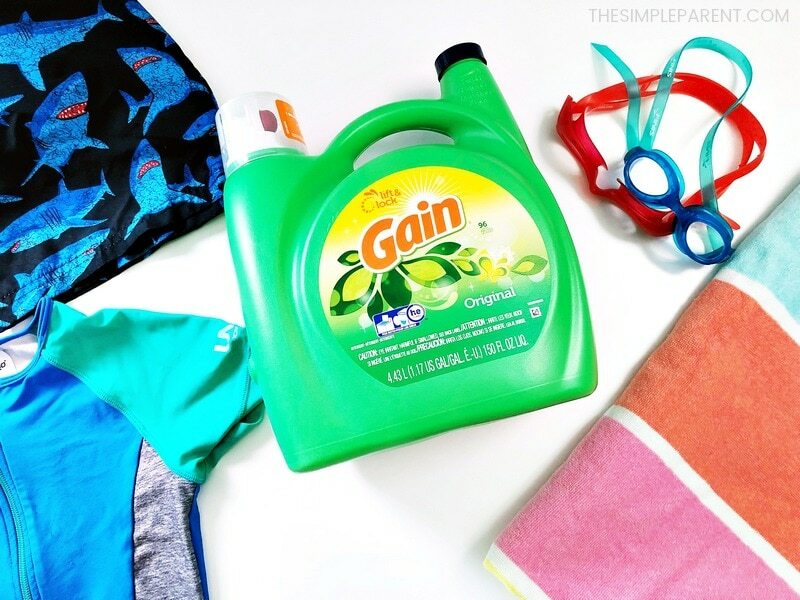 Make packing for the beach easy with these simple tips! I love going on vacations with my family. It’s a time when we all take a step away from our everyday lives, disconnect a bit, and really enjoy our time together. 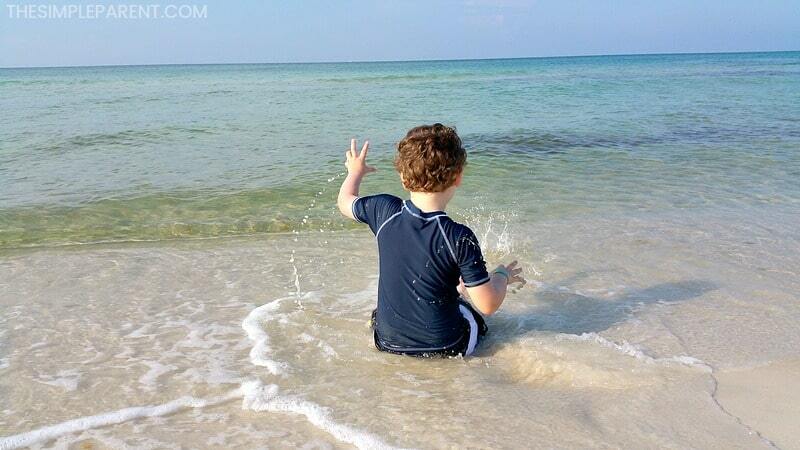 We love to plan family vacations to warm destinations during the winter months! Our next trip has me packing for the beach with these easy ideas! This is a sponsored conversation on behalf of Gain at Walmart. My kids are huge fans of the beach life. Staying in a nice hotel that’s close to the beach is one of their favorite things to do. I love escaping to warm sun and the sound of the ocean in the stretch of winter months. That makes it a great family vacation for us. While heading out on a family trip together can be a great way to reconnect and explore, but travel is a learning experience too! That’s why we plan at least one trip a year! When it comes to getting ready for a beach vacation, I find that focusing on the beach necessities makes packing quicker and easier. 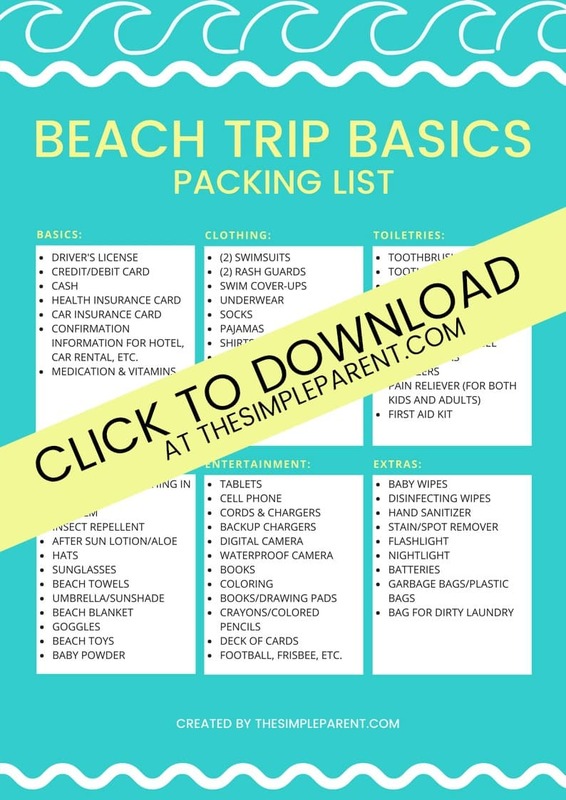 The beach is one destination that I find it easy to overpack for (I’m the queen of overpacking) so I follow a basic list for each family member when I’m packing for the beach. 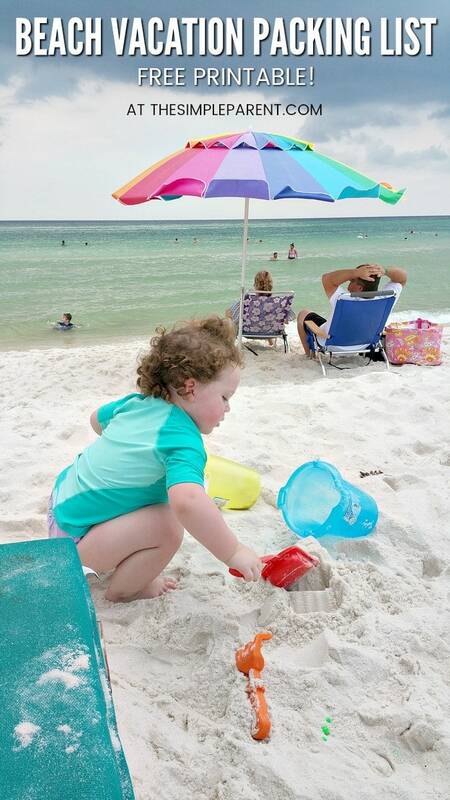 Using a family beach vacation packing list ensures that I don’t forget anything we need and keep the extra items under control too! 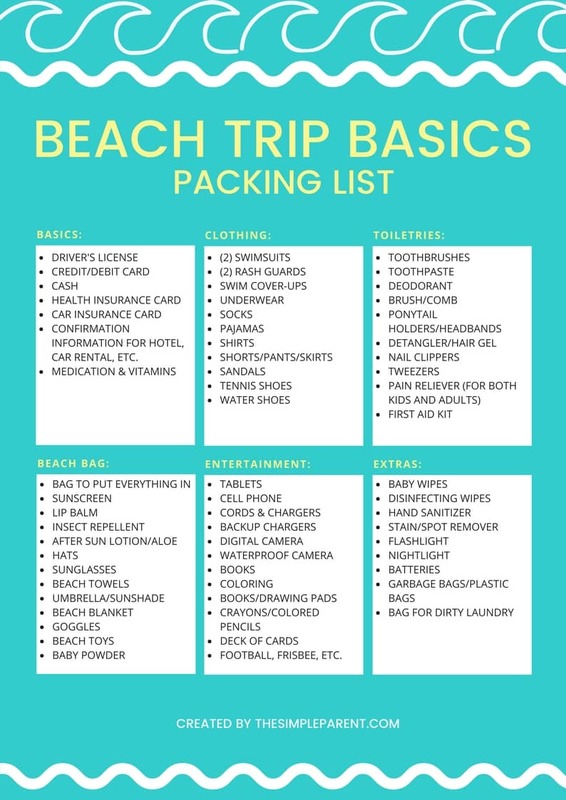 You can download our free printable checklist at the bottom of this post to help you the next time you’re packing for the beach! Confirmation Information for Hotel, Car Rental, etc. When it comes to clothing for a beach trip, I highly recommend bringing more than one swimsuit. I dislike wearing a damp swimsuit and I’m sure I’m not alone! So add in a second suit and you can alternate wearing them so you always have a dry one! You can swap in skirts or pants for some of the shorts. Just make sure to pack one item for each day plus at least one extra! Clothing will take up the most space when you’re packing for the beach. If you have access to laundry, you can take about half the clothing and wash it during your vacation. 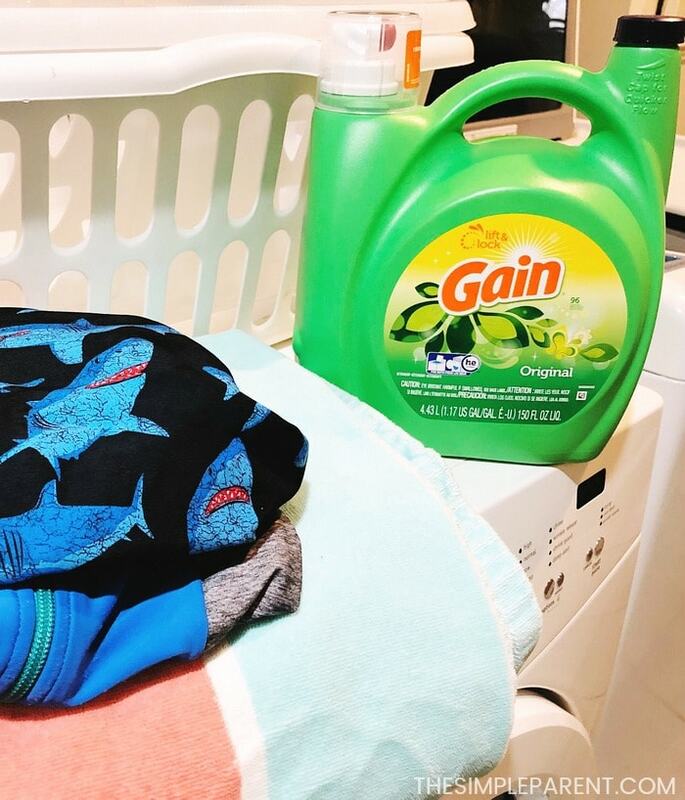 Laundry might not be what you want to do when you’re on vacation, but with the family, I’ve found it’s a nice option to have! Laundry is a huge part of preparing for a family vacation. Once I’ve gathered all of our vacation clothes, there is usually some laundry to be done before I can actually pack! If you have a ton of laundry to do before your family’s vacation, you can save money for vacation while you’re doing the laundry! For a limited time, Gain 150 oz. Liquid Laundry Detergent is on Rollback at Walmart for $13.44 (regularly $14.94). You can also use the SmartSource coupon from your 2/25 Sunday paper or pgeveryday.com for $5 off the purchase of 3 Gain items. Combine that with the Rollback and you can save big! The fresh Gain scents like Tropical Sunrise, White Tea Lavender, and Moonlight Breeze can help you feel like you’ve already escaped with your family, no matter how dreary the weather might be at home! I used to overpack toiletries because I felt like I needed to bring all of our specific products. But when we’re staying at a hotel, I’ve learned that we can survive using the soap, shampoo, and conditioner that they provide! It saves so much space! Don’t forget items that might be specific to your family such as makeup, contact solution, rash cream, lotion etc. But keep it simple to save space and time while packing for the beach! The beach bag is where I need the most guidance to make sure I don’t bring more then we need or forget the necessities. Here’s our beach vacation checklist for the ever-important beach bag! If you’re just getting started packing for the beach, do your laundry and then print our free printable checklist to help you pack everything your family needs to have a great vacation! You’ll be ready to hit the beach with your family in no time! And don’t worry if you end up overpacking, I still do it all the time! The last trip we went on, I packed enough clothes for Carrigan to stay a few more days! We managed to pack it all back in our suitcases along with all of our souvenirs! So don’t be afraid to start packing and get ready for your next beach vacation!